Cut rhubarb in to 2 cm pieces. Butter the inside of your baking dish and save the remaining butter for the next step. Mix all ingredients for the filling – rhubarb, sugar, lemon juice in a bowl and transfer it to the buttered baking dish. Scatter flakes of remaining butter over the fruit. Bake in the oven for approximately 40 minutes or until the top has a nice golden colour and the fruit juice is bubbling around the edges. Best served warm with cream, vanilla custard or ice cream. Why spend time making difficult puddings when those easy ones are so delicious. Yes, I’m referring to my gluten-free rhubarb crumble recipe. It’s one of those lazy day/no-fuss recipes. Just put it all into a baking tin, no decorating skills required and voila after 40 minutes in the oven enjoy this naughty treat. 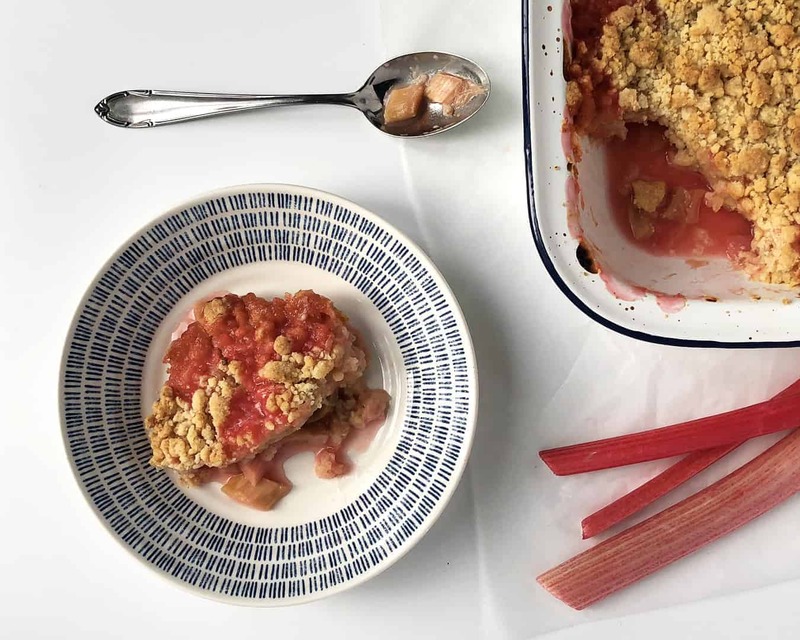 When making this recipe for the very first time I got inspired by Simon Hopkinson’s Rhubarb Crumble. 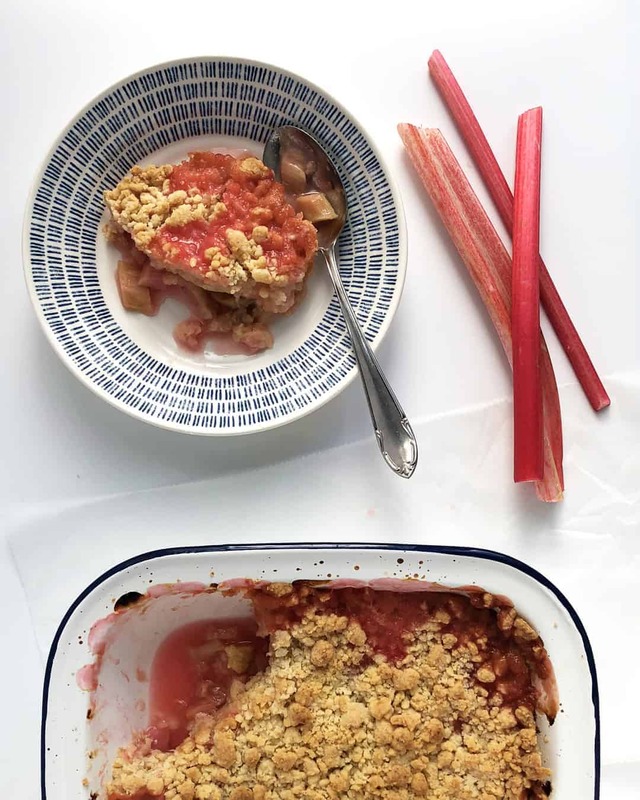 I just tweaked it a bit as we felt like the rhubarb needed more sugar and I wanted to transform it into a gluten-free dessert. With this pudding, it’s so easy to experiment with different flavours. You can add another type of fruit or you can completely replace rhubarb for apples or something else. 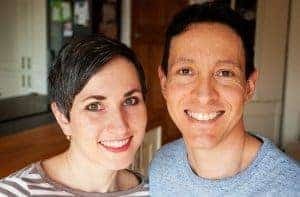 You can tweak a crumble topping too and add some chopped nuts or oats into it or you can keep it simple and follow my basic gluten-free crumble topping recipe. 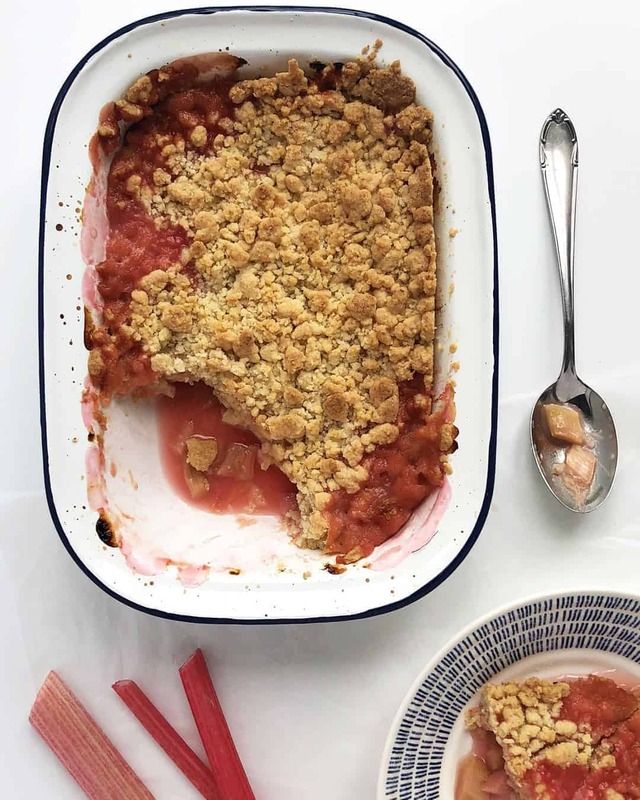 You can serve your rhubarb crumble hot with thick cream poured over the top, vanilla custard or you can enjoy it the way we like it most with nice vanilla ice cream. It is such a wonderful combination of flavours. Warm crumble with sweet crunchy topping and tart rhubarb filling all served with creamy, cold ice cream. It’s so yummy you will fight yourself not to have more. I usually lose the fight and have a second bowl (to feel less naughty it’s slightly smaller than the first one though). So don’t wait any longer, have a go and see for yourself if I’m right.